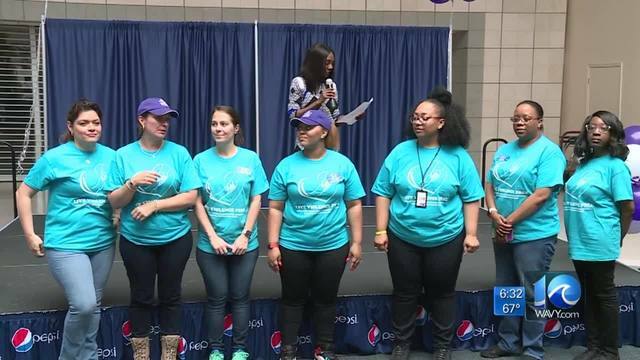 NORFOLK, Va. (WAVY) -- A Community Day and Resource Fair was held at Military Circle Mall on Saturday in honor of National Crime Victims' Rights Week. The event, put on my Norfolk's Commonwealth's Attorney, featured entertainers and exhibits catered to helping victims' families find resources to help them. Marlene Bright, Community Outreach Specialist, said, "So many times they feel there’s nothing for them, but we want to let them know we’re not going to let them go. We’re going to continue to expand our services and continue to provide information resources referrals." The event is meant to commemorate and memorialize those who have lost their lives to violence and celebrating the families who are continuing to move forward. WAVY's Living Local Reporter Symone Davis served as emcee.